The division was created following the 1997 redistribution. It was named after Frederick William Drysdale who was elected to represent Darwin in the former Legislative Council in 1951 and 1955 and Nightcliff in 1962 and 1968. The 2015 redistribution saw Drysdale gain nearly all of Moulden from the division of Blain and lose Durack to the new division of Spillett. This division is located in the north-west part of the City of Palmerston. 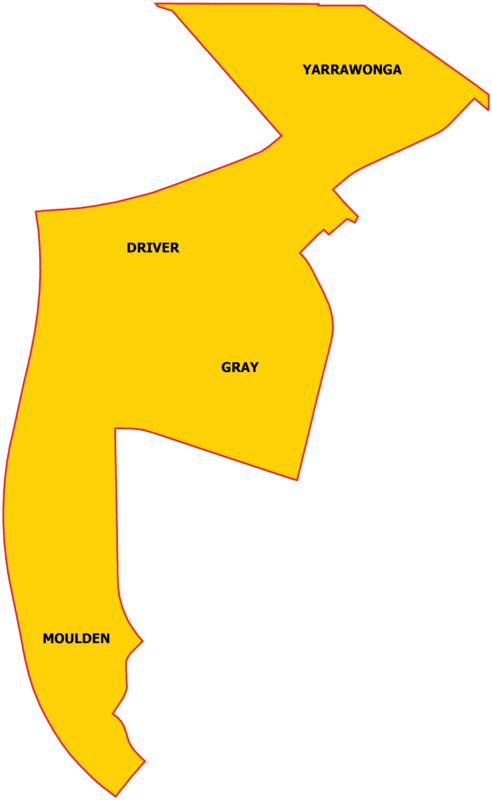 It includes the suburbs of Driver, Gray, most of Moulden, Palmerston CBD and Yarrawonga.